The veteran journalist and Channel 4 News presenter said that although “old habits die hard”, the situation for women in media is improving. Snow said that although he did not have to take a pay cut, at the request of Channel 4, he felt it was the right thing to do. The broadcaster’s comments follow an announcement by the Equality And Human Rights Commission (EHRC) that it was launching an investigation into pay practices at the BBC. Snow spoke to the Press Association at the The Television and Radio Industries Club (TRIC) Awards in London, saying more needs to be done to ensure women are paid “absolutely equally” in UK media. 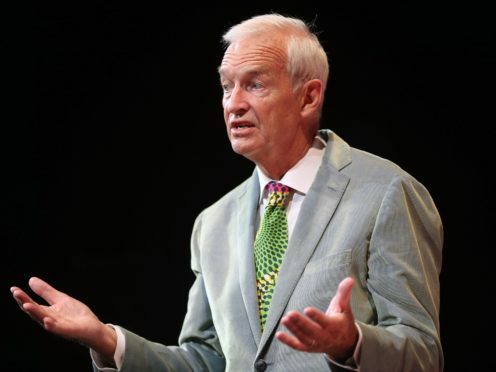 Snow said that he was pushed to take a pay cut at Channel 4, which he did, believing staff are still suffering inequities at work. The presenter said that new female staff may feel the benefit of equality reforms within media organisations, but longer serving women could be unfairly treated. He said: “I have taken a gender pay cut myself. Between you and me and a request from the channel, but I mean, I could have said no. But I was happy to do it, absolutely happy to do it. “I think it’s getting better, I think it’s not perfect yet by any means, a long way to go. We’ve got to keep pushing, definitely. The TRIC Awards recognise excellence in TV and radio.